This winter - for the first time since 1997 - the Chippewa Flowage will have a more significant winter drawdown, maxing out at about 8 feet below normal full pool by late March. 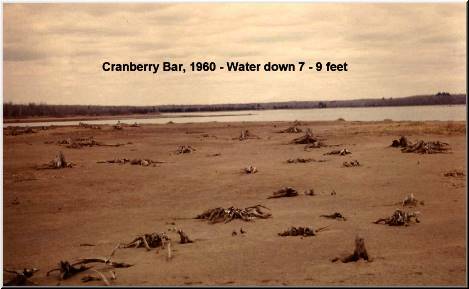 Drawdowns have been an integral part of the water level management of the Chippewa Flowage for most of its history; so they are nothing new to the Flowage. However, because we’ve experienced droughts for most of the past 15 years, winter drawdowns have been reduced to an average of only 4 feet for the past decade and a half. Thanks, in part, to the fact that we’ve been getting normal precipitation during the past two years and that all the entities who care about the long-term health of the Chippewa Flowage want to improve this unique body of water’s habitat and fishery, everyone involved has worked together to encourage Xcel Energy to go back to more of a moderate winter drawdown. 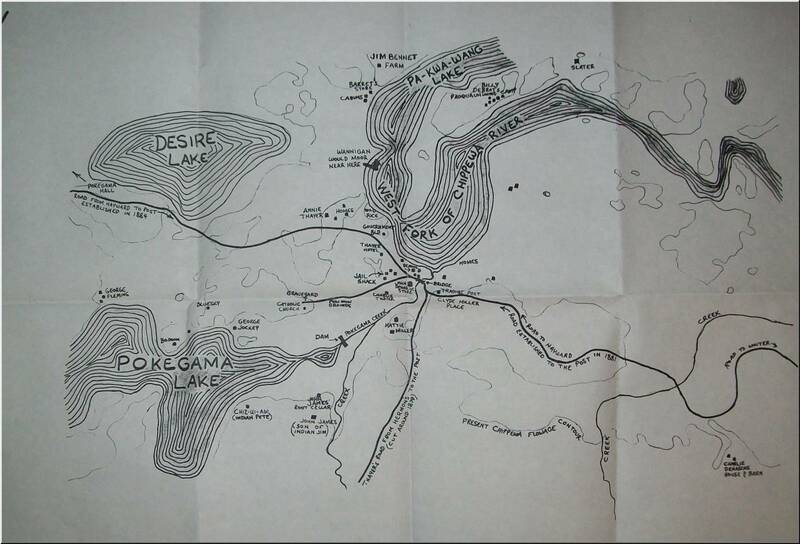 The entities involved, collectively are known as the Chippewa Flowage Partners Group, is made up of representatives from the Chippewa Flowage Property Owners Association, the Lake Chippewa Flowage Resort Association, the Wisconsin DNR, the Lac Courte Oreilles Tribal Government, the US Forestry Service, the Wisconsin Conservation Congress, and Xcel Energy. Historically, during its 90 year existence, the Chippewa Flowage’s winter drawdown has been at least 10 feet for 62 out of its 90 years. 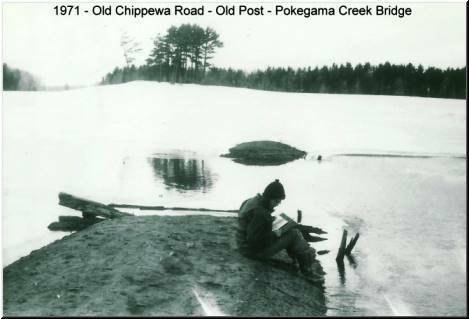 In fact, the average winter drawdown of the Chippewa Flowage has been: 20 feet during the 1920s and 1930s, 15 feet during the 1940s, 16.9 feet during the 1950s, 15.7 feet during the 1960s, 13.6 feet during the 1970s, 9.6 feet during the 1980s, 7.1 feet during the 1990s, and only 4.2 feet since 2000. Prior to 1987 there was only one year (1977) when the winter drawdown was less than 9½ feet; however, since droughts began to consistently plague our region in 1987 the Flowage’s winter drawdowns have been significantly reduced. The pictures below are from the same vantage point. The one on the left is pre-flowage and the one on the right is from 1971. 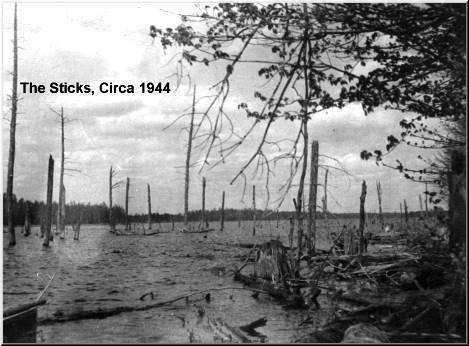 Obviously, extreme drawdraws like we had during the early years (the 1920s and 30s) had some serious consequences, isolating fish in small pools or sections of the Flowage where they died due to a lack of oxygen. In some instances, men like John Weidman were hired to dig trenches from some of these pools so they would connect with deeper water sections and streambeds to allow the fish to migrate to safety. 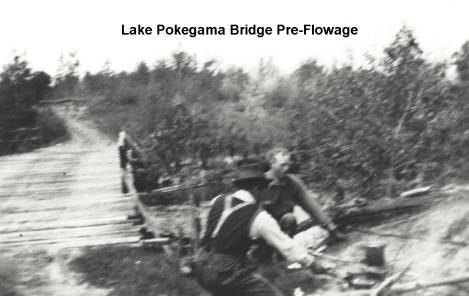 These drawdowns were most extreme in 1925, 1926, 1928, and 1931 when the Flowage was dropped more than 24 feet, nearly back to the levels of the original river and lake system. After 1939 consistent extreme drawdowns were halted; between 1940 and 1971 drawdowns fluctuated between 11 and 23 feet down (averaging around 15 feet); and from 1971 thru 1997 more moderate drawdowns in the 8 to 14 foot range were utilized. 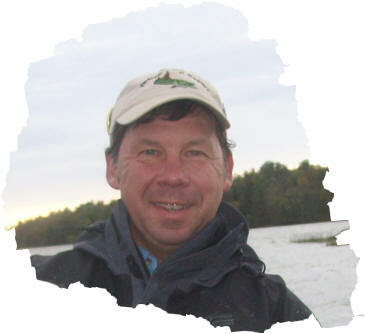 The moderate drawdowns of this later period proved to be very beneficial to the health of the Flowage’s fishery while at the same time not being so extreme as to isolate and kill significant numbers of fish. Arthur Oehmcke, one of the State’s most well-known and accomplished fish culturists, was present on the Chippewa Flowage working its hatchery at the Winter Dam during the late 1930 and 1940s and remained intimate with the fishery of the Flowage during the years that followed. Although Oehmcke agreed that it was a good thing that the extreme drawdowns of the early years ceased, he empathically stated that the more moderate drawdowns were good for the Flowage in that exposing the bottom sediments created oxidation which in turn released the much needed nutrients into the ecosystem of the Flowage. These nutrients, forms of zooplankton known as crustaceans - more specifically referred to as "water fleas" (Daphnia, Cyclopes, and Polyphemus) - are the critical forms of feed that newly hatched fry need to survive for the first two weeks of their lives after they lose their food sac and become free swimming. These free swimming fry are too small to subsist on small minnows, rather they must forage on the tiny water fleas - which are the size of pepper - to survive. 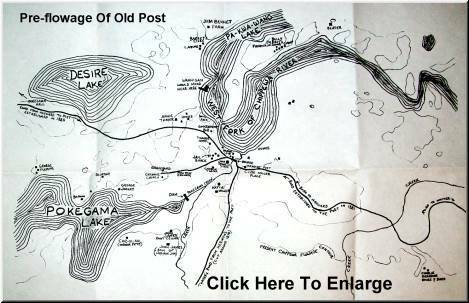 For decades, this is what gave the Chippewa Flowage an enormous edge, especially to it musky and walleye recruitment numbers. Because of the drawdowns and the resulting oxidation and significant nutrient releases of water fleas every year, the Chippewa Flowage had some of the highest recruitment numbers of musky and walleye in the State. During the past 10 or 15 years however, these recruitment numbers have been low for both musky and walleye…. very likely because their newly hatched fry have had much less natural food (water fleas) to eat. Naturally, there is pro and con to whatever drawdown that is utilized; however, I firmly believe that the pros greatly outnumber the cons regarding a moderate Winter drawdown. Years ago, during the more moderate drawdowns, in addition to having higher populations of young musky and walleye, the crappie averaged much larger and the bluegill population was considerably less…. a much better circumstance to sustaining healthy walleye and musky populations. Keep in mind: although bluegill are fun to catch, allowing a lake to overpopulate with stunted growth bluegill can seriously threaten newly hatched walleye and musky fry. As far as bass go: the smallmouth bass seem much less affected by drawdowns as they seek out deeper water during such periods. Largemouth, however, are more likely impacted by moderate drawdowns so their numbers would also likely drop to some degree. But remember, because (like the bluegill) they are not a friend to walleye populations, it is best for the health of the walleye fishery - and probably the musky fishery as well - to keep largemouth populations in check. The benefit of reducing largemouth bass populations though, is that it is likely to improve the size structure and growth potential of the bass that remain. So the stage is set with this Winter’s drawdown to help increase the musky and walleye recruitment numbers in two ways: first, to give our newly hatched musky and walleye fry much more food to eat and, secondly, reducing the number of predators that are waiting to gobble them up. Much has been said about the benefits of a Winter drawdown combating and reducing the ever growing problem with Eurasian milfoil, an invasive species. The abundance of Eurasian milfoil is a concern because it negatively impacts boating and fishing and – as it dies out under the ice during the Winter – contributes to increased oxygen depletion and, ultimately, increased fish kills. The greater the weed build up that a body of water has, the more likely it is to have oxygen deprivation issues during the coming Winter season. So it is in the best interest of the Chippewa Flowage to do our best to combat the excessive milfoil growth. Eurasian milfoil is not the only undesirable weed in the lake. There are many other types of "junk weeds" that negatively affect the fishery as well. Furthermore, excessive weed buildups can form a matt of decaying material on the lake bottom and increase the rate at which the bottom will muck up or silt over – a situation that can not only speed up the aging process of a lake but seriously threaten the viability of good spawning habitat. Thankfully, because the Chippewa Flowage is a reservoir and its water level can be controlled, there is something we can do about this weed issue. By allowing a moderate drawdown of 8 to 10 feet, most of the lake bottom that grows the Eurasian milfoil (and other "junk weeds") will be exposed and the Winter’s hard freeze will greatly contribute to freezing out the roots of the Eurasian milfoil… giving milfoil much less of a presence during the following summer season. Although drawdowns on the Flowage have proven to greatly reduce Eurasian milfoil and other "junk weeds" during the following season, it has done little to harm the good quality weeds that we like to see. Quite the contrary, after a moderate drawdown we usually have very good quality, desirable weeds but yet much less Eurasian milfoil and "junk weed". The upside to having a moderate drawdown in the 8 to 10 foot range is that a high percentage of the Eurasian milfoil growth will not even be in water as it decomposes, rather it will die sandwiched between the ice cover and the lake bottom. Therefore removing these dying weeds from the "water equation" greatly reduces potential oxygen deprivation and thus minimizes potential fish kills.